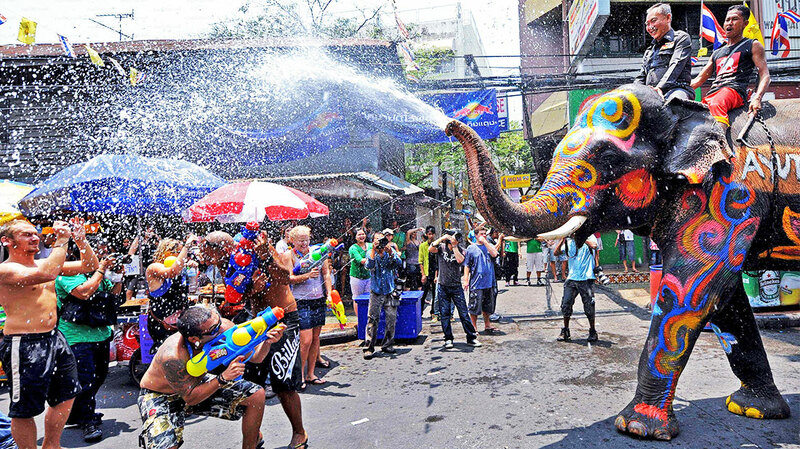 Sawadee Pee Mai (Happy Thai New Year) to all our Thai staff and friends, we hope you have a great day today! Otherwise known as Songkran, this is the biggest water festival you will experience in Thailand where Thai's splash/throw water on friends and family as a way of seeking good fortune and pay homage to Buddha. Over the years this has turned into a little more than splashing and now tourists come from all over the world to experience this time of year and it normally involves buckets of water as well as water guns and hoses! So if you don't want to get wet, stay at home or at your resort! Don't get too drunk boys, we have a boat tomorrow! !